I always enjoy my interviews with Marc Hayek. 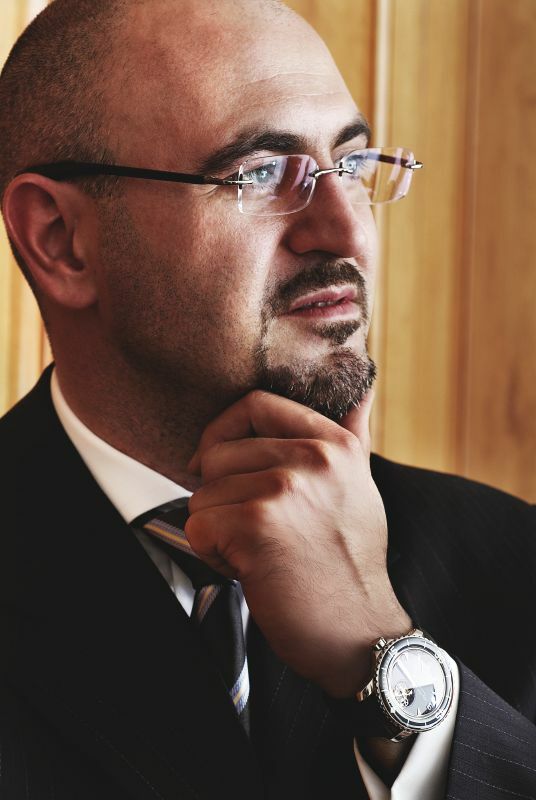 What I find most admirable about him is that he oversees three of horology’s most famous brands, which has got to be a tremendous amount of work, yet has the capacity to so clearly articulate the core identity of each through the watches he creates with them. In recent years, his work at Breguet, in particular, has been truly exceptional. He has refocused the brand on the same spirit of innovation that was held by its founder, Abraham-Louis Breguet. This year, he brings that concept of innovation to an even higher level with one of the greatest technical achievements in modern horology: magnetic endstones which exert a gravitational field upon the balance staff that is actually greater than the earth’s gravitational pull. The result is that regardless of what position the watch is in, the friction of the balance pivots remains totally constant. This represents a third-millennium solution to the very same problem that motivated Breguet, and is a clear articulation that Hayek has a vision for this brand that is totally aligned with that of its legendary founder. 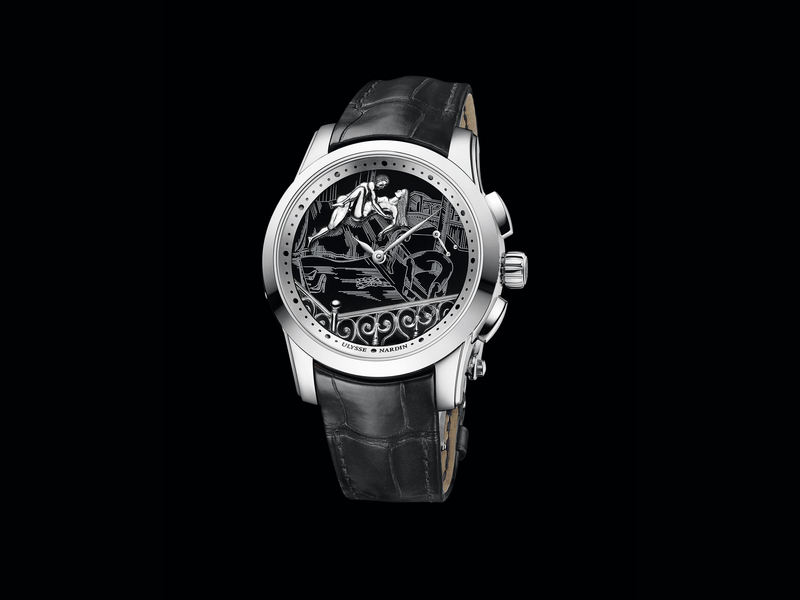 Tell us about the Classique Chronométrie 7727, which runs at 10Hz (72,000vph). I am happy to wear it, and it’s working. We have 10 working watches here at the Basel fair, but we decided to sell it in Basel next year. Production will start this year, so we will have pieces ready, but I did not want to take orders this year. The working title of the watch is the “Chronométrie” because the objective is to have, in series, the level of accuracy that you normally only see in a single watch tuned for competition. We may submit these to competition, because I think we can go even further [relating to accuracy]. But at the moment, we are around -1 to +2 [seconds of deviation per day], and this is the result for watches made in series. In the first image I saw of the magnetic pivots, the magnets were huge. How did you miniaturize them to fit in such a slim watch? Amusingly enough, when we showed you the images of the prototype, you remarked on the really big magnets. So you can see now that in reality, the actual magnets for the endstones are small enough to go inside a beautiful, ultra-slim watch. You had already introduced the Type XXII 10Hz chronograph two years ago. Why are you so interested in high frequency? High frequency is something we’ve studied for a while. It is very interesting, but it has advantages as well as disadvantages. You really have to see where you get the advantage; you have to determine how you do it and how far you do it, because you get to a problematic point related to power reserve. The major benefit of high frequency is related to micro-shocks, because you return faster to your optimum rate, up to a certain point. Because if you pushed it, for example, to 50Hz, you could create huge problems that actually outweighed the benefits. At the moment, we are focused on 10Hz to have stability, but also to have a good power reserve [the 7727’s is 60 hours]. In the chronograph we brought out two years ago, there’s definitely a gain in precision. 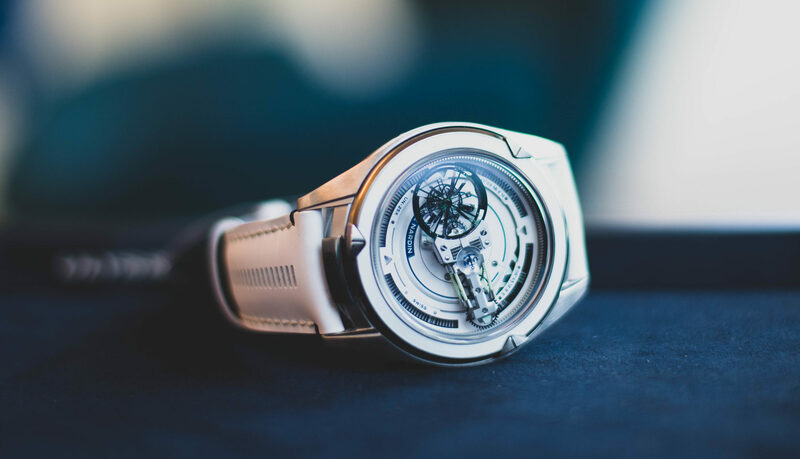 But the greatest benefit is the precision you get while you are wearing the watch because of how the high-speed oscillator recovers from micro-shocks. This year’s watch, the 7727, was about seeing the benefits of a high-frequency oscillator on a movement to see if it really brought some real chronometric benefits. It is clear that it does. How much has silicon made high-frequency watches possible? Basically, what you see today is largely thanks to silicon. With this material we really gained a big weight advantage. As a result, we could accelerate the escapement components to much higher speeds. In this application, we used silicon for the escape wheel, the escapement and the hairspring. This was vital for us to achieve a 10Hz watch. But the objective was not just to get a 10Hz watch to work. We had to gain something chronometrically. Look, I am the first to agree that for mechanical watches, it will never be a race for ultimate precision. Yet at the same time, I believe we should never forget the underlying purpose of a watch, which is to be precise. It must keep time precisely, otherwise it loses its meaning and becomes a gimmick. We should never forget the fundamental roots of mechanical watchmaking. Look, one second more or less deviation per day is not a big deal. But if we forget about accuracy, soon we could reach 20 seconds per day. And that is a big problem. Another major benefit of using silicon was that none of the elements of the regulator could become magnetized. This was important because it was our objective to use magnetism in a positive way in this watch. How does creating an artificial gravitational field for the balance staff that is greater than the actual influence of gravity aid in accuracy? This has enormous benefits related to enabling the watch to maintain its isochronism during micro-shocks. You have the pare-chute for when the watch receives big shocks. In a normal watch, when the balance wheel receives a micro-shock, its pivot shifts position relative to the endstones that it is mounted on. This can cause undesirable friction. Because the balance staff here is magnetically charged and attracted by magnets in the endstones, it moves back to the center position much faster because of the magnetic field. Secondly, even when it receives the shock, the side of the balance staff does not touch the sides of the endstone. You just have the friction point at the top of the axis. Normally, during shock, you would have more pressure, more friction, which results in a negative influence. You don’t have this in this watch. So you win two times. This is why we hope to have very good results with this watch. But an even bigger difference will be seen in wearing it. It is hard to simulate the number of micro-shocks a watch receives when worn, but I think once the pieces are out there in real life, we will see a big difference. Interestingly, magnetic endstones, in many ways, solve the issue of inconsistent friction caused by gravity that motivated Breguet to create the tourbillon. Were you conscious of this throughout the process? Absolutely. When we had the first model of the magnetic system and started to get deeper into it, we realized that what we wanted to create was an artificial gravity that we could control and that was stronger than the actual force of gravity. And we realized that we were talking about the same problems that had preoccupied Abraham-Louis Breguet. It was wonderful for us to see that we had come full circle with the brand. Funnily enough, when I first introduced the idea of silicon, people remarked, “Time out; what are you doing? We are about traditional watchmaking. That’s not the spirit.” But I explained that this was perfectly in line with the spirit. That was the idea; that was the challenge. Breguet did everything possible in his time not by saying, “These are the limits of watchmaking and I must stay within them.” No, he went out into other fields to do research to make watches better. That’s where out heart is; that’s where our tradition is. We have exactly the same approach. The moment we stop innovating, we start dying. How do you ensure that what you create is horologically legitimate? Now we have the freedom to create, but you have to be careful to create things for the long term. You must create something that can always be repaired — something where the technology is there and will live on in 100 years. Magnets are this kind of technology. When a piece needs to be replaced, it can be easily changed. This is totally different from a quartz watch. If it is 30 years old, you may not be able to repair it. How does it work with you helming not one, but three brands? During the year this works quite well because it is easy to divide your time to go deep into each individual brand. There can be great synergies. For example, our original research related to Liquidmetal was for the Breguet Réveil Musical. At the same time, at Blancpain, we were working on the X Fathoms for four or five years, and the biggest problem was the membrane for the depth gauge. There were systems that could give us the depth we wanted but not the precision, and vice versa. Then we realized what made the Liquidmetal such a good conductor of sound in the context of the Breguet Réveil might have applications for use as the membrane in the depth gauge. When metal vibrates to transmit sound, it deforms, then returns back to shape. We said, “This is what we are looking for.” So we profited from the research on the material for both brands, but the results were two totally different types of watches. Still, you have stimulation through a certain link. This is when everybody wins. What are your favorite Breguet watches of 2012? This year for Breguet, in addition to the 7727, there is also the extension of the La Tradition line with the GMT. The iconography of the Tradition range was perfect for this complication; you have the space for an additional small dial and the way it was integrated was so easy, with one pusher controlling the function. It shows how we can continue to develop complications in this line. What are your favorite Blancpain watches of 2012? For Blancpain, the Traditional Chinese Calendar watch shows our commitment to the Chinese market, but it is also a remarkable watch in its own right, with both the Gregorian as well as the ancient Chinese systems for determining calendar information. It was great for us to really delve into this system for charting the passage of time. Also, the new split-seconds L-evolution has a movement that I love and a more extreme expression related to our activity in motorsports. The split-seconds is one of my personal favorite complications. For Jaquet Droz, my personal favorite is our retrograde moonphase watch, which existed before in red gold, but now we’ve brought it out in steel with a black dial. I personally like this watch very much. It has a beautiful movement with a beautiful dial that is totally unique — at a more accessible price. Even though the movement base is coming from Blancpain, you can see that the execution of the moonphase is totally charming. There is also a watch in our Les Ateliers d’Art collection with a dragon coming out of the dial that is absolutely stunning. Pierre Jaquet-Droz was most famous for his legendary automatons. Would you like to incorporate this kind of complication into the Jaquet Droz wristwatches one day? Yes, absolutely! We are working with [François] Junod, who is doing things with automatons that are just fantastic. We’ve got ideas from technology from robots and so we are attempting a miniaturization that is quite incredible. We hope to have automatons inside a wristwatch, and our objective is to complete this watch within the next two years. There may already be something developing in this direction for next year.